Last week saw two pieces of news that could be changing the macro narrative. Reports of a possible Chinese Fiscal Stimulus package of Yuan 3 trillion ($160 billion) and last Thursday's FOMC meeting decision to keep rates on hold and subsequent statement. A Fiscal stimulus package can be similar in effects to quantitative easing in that it adds more cash to money supply. This should create more growth opportunities and keep the economy well oiled. China being the world's second largest economy would also mean that there would be a knock on effect in growth for the global economy. Recent fears of a global economic melt down have sent most major stock indices downward over the past weeks. The FOMC decision did not see the expected bullish reaction in the stock market. S&P 500 ended down 1.62% Friday compared to Thursday's close. There had been expectations of a higher S&P 500 after a no hike decision. However the statement from the Fed after the meeting, although doveish, still left room for the possibility of rate hikes in December. This may be weighing heavily on the stock markets as raising rates too early would stifle economic growth. There seem to be signs of stock market weakness in the US and around the world. The idea of a Fiscal Stimulus package only indicates that things may be worse than previously thought. A rate hike in December, unless backed by very strong growth data, may have a very negative effect on the stock markets. It could also have a negative effect on Gold initially, as investors will be more attracted by higher yields in Bonds. The picture would change once inflation actually starts to set in, then real assets begin to look more attractive again. However falling stock markets could be the catalyst for Gold to start a new Bull trend. As seen in previous crises, stock shocks are usually correlated to Gold price increases. The last example was the mini crash of the S&P 500 that started on August the 20th. The changing macro-economic scenario that may be taking shape could also have repercussions on Crude Oil. A weakening global economy will cause Crude Oil demand to be reduced sharply. This will be especially noticeable if there is a large slowdown in the economies of emerging market countries, where industries are heavily reliant on fossil fuels. Goldman Sachs issued a forecast for crude oil of $20.00 a barrel, despite IEA seeing oil supply outside OPEC decreasing to 1992 levels. The overall reasoning being supply will continue to be greater than demand and cause a continued fall in price. Low Crude Oil prices will take pressure off inflation and may even help economic growth as energy becomes cheaper. We may also see low Crude Oil prices being prolonged into the future, similar to the pre 2000s period when price rarely reached $35.00 per barrel. There are many theories of why Crude oil reached the pre the 2008 crisis record high, one is the introduction of electronic futures trading and commodity index funds. These funds were heavily weighted to energy and Crude Oil in particular. The billions of dollars pouring into these assets created an overwhelming demand and a surge in price. As can be seen in the chart below Supply projections for the next year continue to be higher than projections for Demand according to the EIA. Correlations are notorious for changing over time, although some tend to be stickier than others. Clearly Bond yields are negatively correlated to Bond price. Most correlations however are not so mechanical when it comes to different assets. Even though you will usually see stock markets rise and Bond yields decrease there are times when correlations may change. Crude Oil to Gold correlation is a great example. From the graph below you can see a the roller coaster ride the two assets have had over the past 10 years. There would seem a tendency for correlation to become more positive during certain times. The period running up to the 2008 crisis was one of expanding economy and positive stock market performance, here we see correlation rise. As we move closer to the crisis period correlation begins to fall and continues until the economic recovery is well under way in the summer of 2010. Correlation has since peaked out again at the end of 2012. I see this decrease in correlation due to the fundamentals changing for each commodity. Gold supply has peaked already years ago and is the main reason for its reduction in price over the past 4 years. Demand for this commodity has however remained fairly stable. According to the World Gold Council YoY demand was down -1% and up 3% for the first quarter of 2015. While supply remained steady on a yearly basis and was reduced by 4% for the first quarter. Gold has an intrinsic value that Crude Oil does not. Although both are very important when considering the global macro picture. Crude Oil seems to be suffering from an excess in supply and a strong US dollar. Crude Oil exporting countries have been seeing their currency weaken against the US Dollar, this allows them to accommodate lower prices for the commodities they produce. At the same time the aggregate demand for energy would seem inevitably bound to decline as industries try to achieve cleaner and more efficient production. It is not surprising then that Gold now has a negative correlation to Crude Oil. As we have seen Gold has remained fairly stable despite a reduction in price, Gold opened September 21, 2014 at $1215.20 while it's most recent low was on July 24th at $1077.20. Whereas Crude Oil has plummeted consistently over the past year, from its open September 21, 2014 of $91.55 to its most recent low on August 24th at $37.75. That's a drop of 58.77% for Crude Oil compared to a decline of 11.35% for Gold. 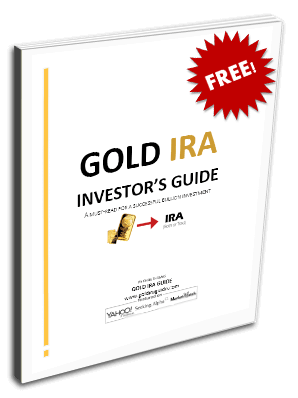 The intrinsic value of Gold which can be defined as a hedge against inflation, diversification and wealth protection mean that there is only a certain amount by which demand will decrease.